In a time where ce4’s are redundant, 30 watts is a starter kit and sub ohm is no longer a DIY matter but more over the counter where will vaping go next?? 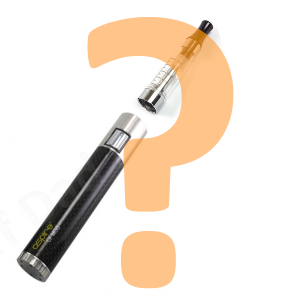 The end of 2014 and start of 2015 has seen some revolutionary products hit the market with a selection of sub ohm tanks and 30-50 watt devices aimed at the novice vaper at a very affordable price, making the sub ohm aspect somewhat no longer a way of life but more an option over the counter at many vape shops and a click away online. Many seasoned vapers with rough callus fingertips from wraping coil after coil searching for the perfect vape have seen themselves out done on a mass scale as its far to easy to walk into a shop and buy an aspire BVC coil that works and produces a vape experience that many have spent years searching for. The Eleaf iStick has wiped the floor with your ego’s and vamos. When last year this time 30 watt Hana’s were the rage then superceeded a few months later by the ipv2 then rapidly after the 150 watt mods reared their heads, all this power is available to the novice vaper from the get go. These purchases grace our facebook groups every day in the sense of a handcheck showing a 150 watt device with a protank on it, or a “what coil will work on this” question. A growth in the market is inevitable and with looming legislations will all these new high powered devices cause problems when batteries start to fail through nothing more than user error, generating more scare mongering and safety concerns? whats next for vaping?? Where can it go? This entry was posted in Vapeology and tagged ce4, eleaf, istick, sub tanks. Bookmark the permalink.